What if you were a Multinational Corporation looking for strategic action ideas to stimulate meaningful, sustainable growth of your FMCG products in your most promising global market region? 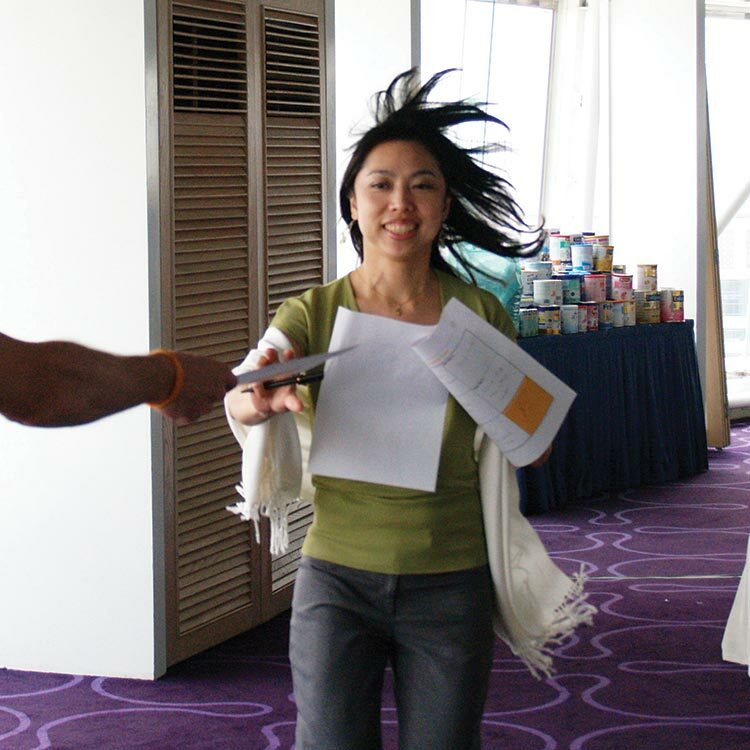 Thinkergy used X-IDEA to guide the extended Asia-Pacific executive team of Mead Johnson through an intensive 3-day strategy innovation workshop. The project aimed to create meaningful, new strategic concepts for superior, sustained revenue and profit growth. On the first two workshop days, we invited delegates to deeply explore the evolving strategic landscape of the infant formula category. After the kick-off, we split the 40 executives from across the Asia-Pacific region and the US head-office into four diverse project teams with broad perspectives. Then, we hosted a speaker forum where four experts inspired the teams with project-tailored presentations. These keynotes touched upon the particularities of the strategy innovation process; latest research and trends in the infant formula category; emerging trends in the wider FMCG industries from the perspective of a creative agency; and a lecture by a provocative marketing academic challenging traditional tenets in consumer behavior research. Thereafter, the teams worked through a series of Xploration Tools: They created Trends & Discontinuities Maps and Value-Leverage Profile Maps, performed an Assumption Check and mapped out a typical customer journey, and answered Xploration Questions and SWOT Questions, and other analyses. Finally, each team harvested and presented their major new insights that they revealed, and framed their learnings in a compelling Final Challenge statement. On the third and final day, Thinkergy guided the four teams through the remaining stages of X-IDEA (Ideation, Development, Evaluation, and Action). 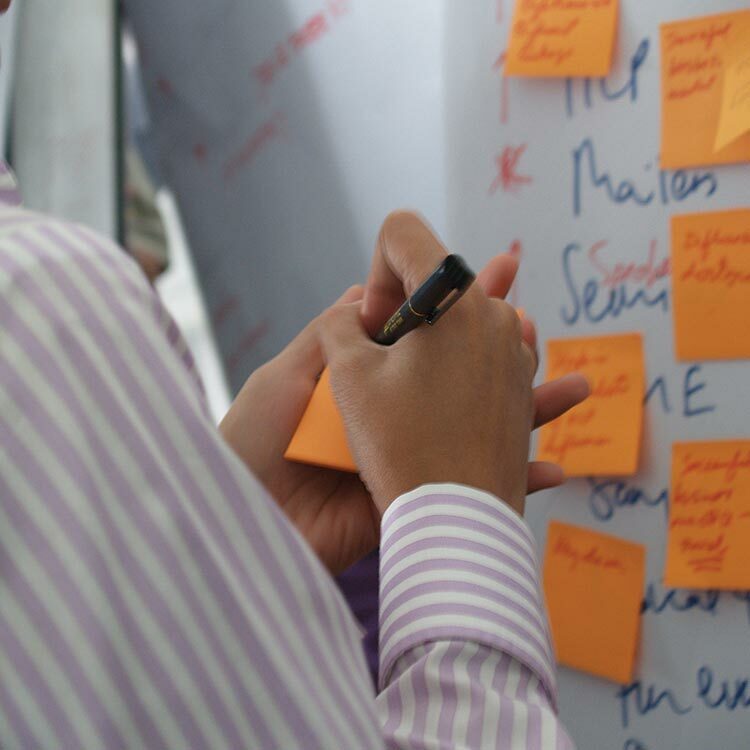 At the end of the workshop, eight top ideas were approved for real-life activation. As is common in a strategy innovation project, these top ideas touched upon a wide range of modern innovation types: a marketing campaign aimed to create “Hope”; a promotional event which offered a “Helping Hand”; two combined product innovation and packaging design ideas; a new business model idea providing :”Baby Assurance”; a new website & technology channel allowing to target a newly identified customer segment: and finally a structure innovation idea aiming to transform regulatory challenges into a new business opportunity for Mead Johnson. Isn’t now a good time for your business to sow the seeds of superior future revenue and profit growth given the fast-changing globalized and increasingly digitalized market environment? Contact us if you’re ready to commit some time, brains and bucks for an X-IDEA Strategy Innovation Project with Thinkergy.